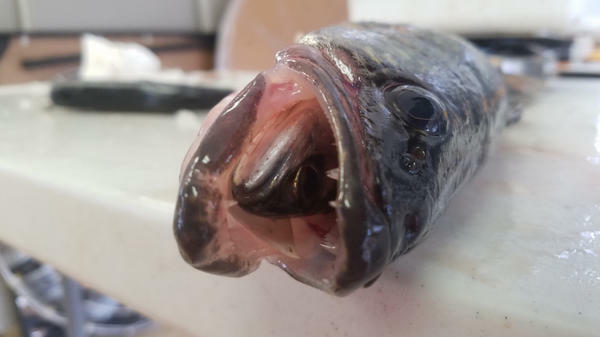 Walleye fish eat native species in lakes across the Mountain West. Starting March 1, the Idaho Fish and Game is offering a bounty for anglers who hook walleye, also known as yellow pikes. The invasive fish is persistent in lakes across the Mountain West. If you catch a walleye in Northern Idaho’s Lake Pend Oreille, it might be worth a thousand dollars. The Idaho Fish and Game injected 50 walleye with a digital tag, and then released them back into the lake. The agency wants to encourage anglers to catch as many of the invasive fish as possible, and if you happen to hook one that’s tagged, you’ll win $1,000. Walleye are a big problem for native fish populations. "They grow extremely fast, they reproduce at a young age, and they’re extremely efficient predators," says Matt Corsi, a biologist with Idaho Fish and Game. They gobble up native kokanee salmon and trout. Corsi hopes the bounty works. He says kokanee are a vital foundation to the entire ecosystem of Lake Pend Oreille. "If you’ve got a significant amount of money riding on every fish you catch, you’re not going to be all that likely to release it," says Corsi. And if you catch one, they’re pretty good to eat. Walleye have shown up in various lakes in every state in our region, from Montana to Colorado.